The "Chapel Street Water Tower:, built of brick in 1896, was a part of the original water system of Columbus and a part of the city's early skyscape. 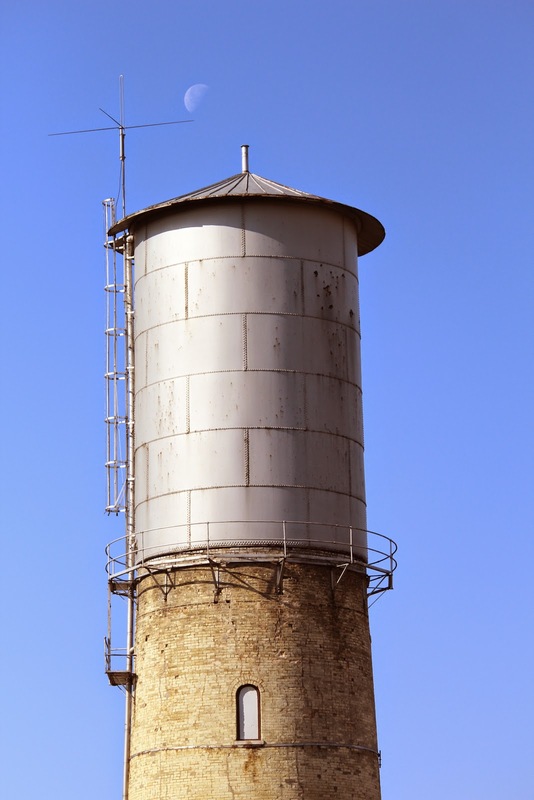 Designated as a local historic landmark in 1997, it remains today as a sample of a declining number of early stone and masonry municipal water towers. 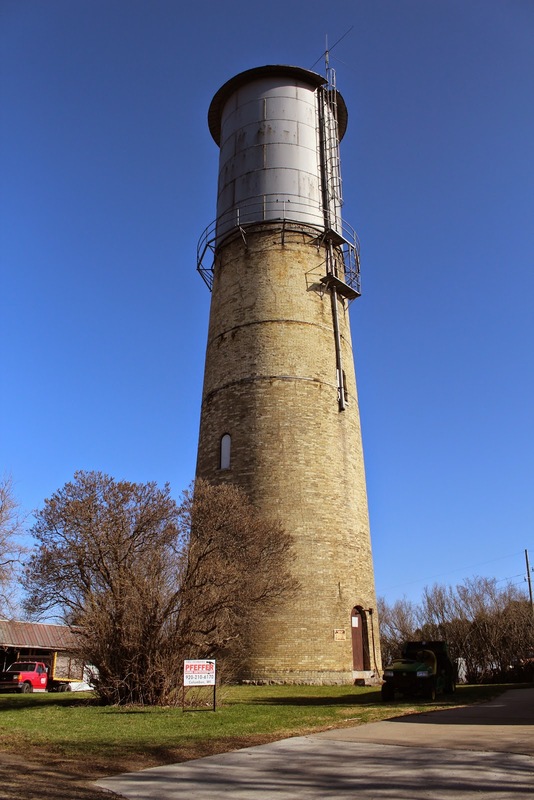 The marker and water tower are located at the west end of Chapel Street, west of its intersection with North Lewis Street, at or near 707 Chapel Street, Columbus, Wisconsin 53925. While taking photos one of the residents came out and spoke with me. He explained that the city had made plans to demolish the tower, but that the community fought against it and were able to save the tower. They are very proud, now, to have the tower designated as a local historic landmark. View from the North Lewis Street bridge. There is parking at the east end of Chapel Street. View from Hillside Cemetery, at the end of Thayer Street. 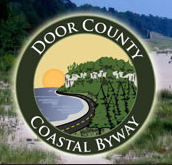 The tower and marker are located in Columbus, Wisconsin.